Dr. Sandra L. Guzman Foster, the Sister Theophane Power Endowed Chair in Education, earned her Ph.D. in Educational Leadership and Policy Studies at Arizona State University where she was also a Gates Millennium Scholar and a Spencer Interdisciplinary Fellow. 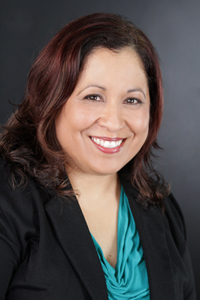 Prior to joining UIW, Dr. Guzman Foster worked with the Institute for Transformational Learning at the University of Texas Systems developing and producing competency-based instructional materials. Dr. Guzman Foster brings experience in online and hybrid pedagogy, curriculum development, teacher education, program evaluation, and educational research. Additionally, Dr. Guzman Foster has taught at the K-12 level, community college level, and at the university level in Texas, Arizona, and Colorado over the past 20 years. Educational Policy, Critical Pedagogy, Social Justice, Historical, Political and Social Contexts of Education, Critical Multicultural Education, Reflective Practice, Transformative Dialogue, Urban Education, Educational Philosophy, Youth Empowerment, and Technology Integration in Education.